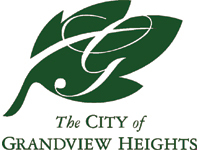 Grandview Heights’ police officers were notified by staff at the Grandview Heights High School of a threat on social media referencing the planning of a school shooting. The threat was posted to the social media account of a current sophomore who attends the high school. In response to the posting, officers responded to an apartment in the 1200 block of Burr Ave in Grandview Heights where they were able to detain a student believed to be responsible for the social media post. During a consent search of the residence, officers observed what appeared to be a homemade incendiary device in the suspect’s bedroom. Two multi-unit apartment buildings in the immediate area were evacuated, and fire departments from Grandview Heights along with the Columbus Division of Fire Bomb Squad responded for assistance. Members of the Bomb Squad cleared the residence and determined that the suspected incendiary device was a smoke bomb that was made to look like an explosive. The suspect was interviewed at the police department and admitted to making the social media post in reference to the school. However, he stated it was a post that he copied and pasted from another unknown person on social media, which was verified. The suspect was released to his mother. At this time, there is no reason to believe a credible threat exists to the students of the Grandview Heights school district. Criminal charges for inducing panic are pending. Extra patrols and officer presence will be conducted at all school buildings.